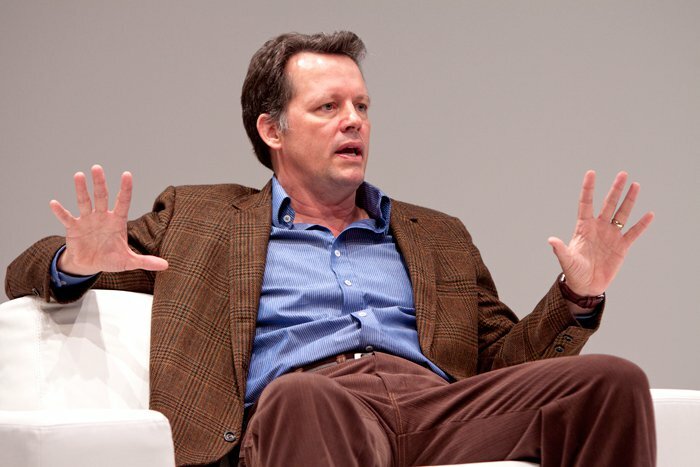 Steven Culp in "Old Times"
Press Coverage of "Old Times"
Steven Culp as Deeley in the Shakespeare Theatre Company's production of 'Old Times' by Harold Pinter, directed by Michael Kahn. Photo by Scott Suchman. 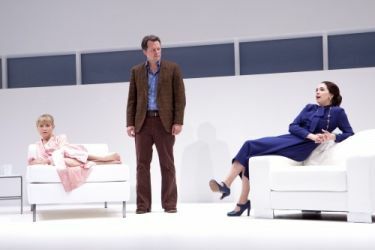 Tracy Lynn Middendorf as Kate, Steven Culp as Deeley and Holly Twyford as Anna in the Shakespeare Theatre Company's production of 'Old Times' by Harold Pinter, directed by Michael Kahn. Photo by Scott Suchman. 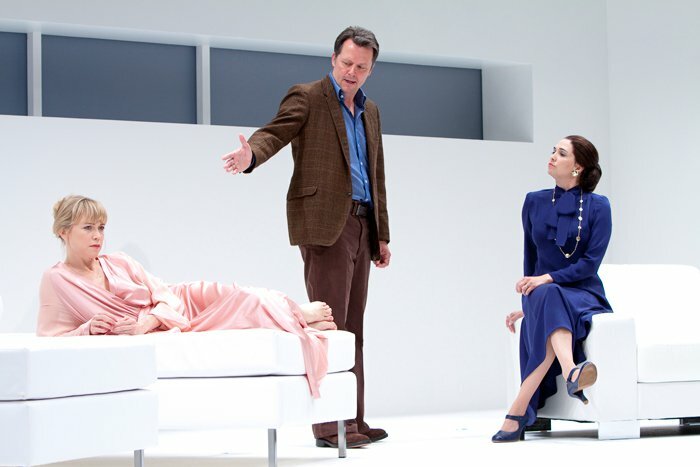 Steven Culp as Deeley and Tracy Lynn Middendorf as Kate with Holly Twyford as Anna (background) in the Shakespeare Theatre Company's production of 'Old Times' by Harold Pinter, directed by Michael Kahn. Photo by Scott Suchman. Michael Kahn (right) directs Holly Twyford, Tracy Lynn Middendorf and Steven Culp in his 2011 production of Old Times. 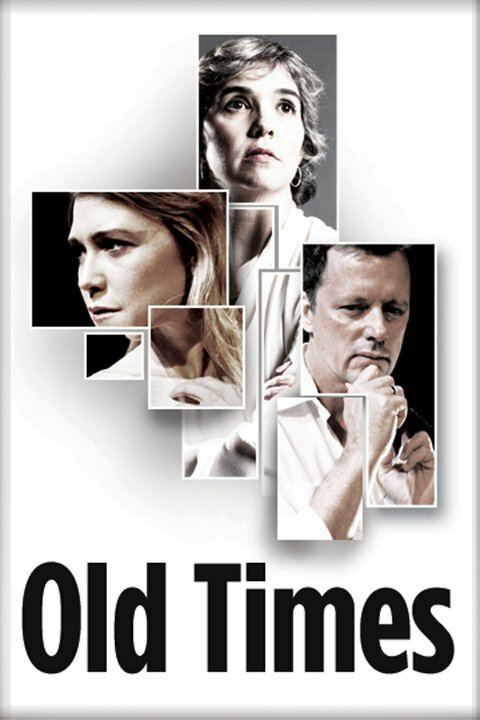 Memory and reality collide in Nobel Laureate Harold Pinter's nostalgic and haunting play, "Old Times". See what happens when an old friend visits a married couple and how their different memories of the past collide. 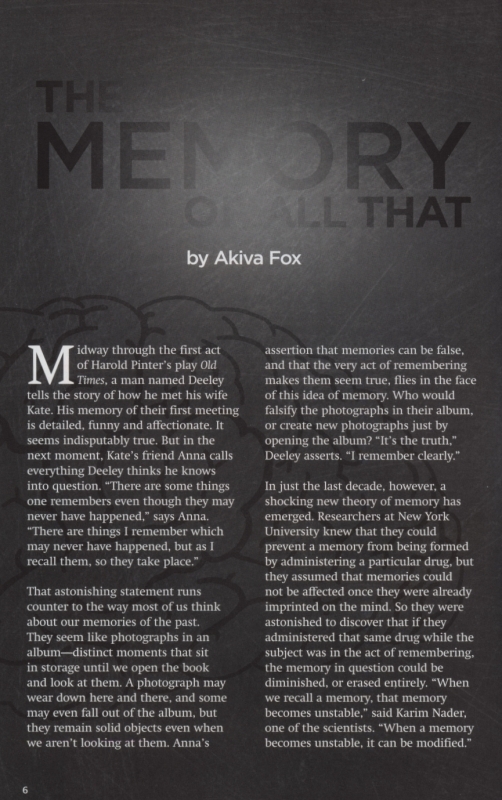 What do their memories tell us and which interpretation of the past do we believe? "Old Times" is an intimate and highly charged exploration of whether we can ever really know another person, or even ourselves. In their house by the sea, Deeley and his wife Kate anticipate the arrival of Kate's old roommate Anna. Kate remembers Anna as her only friend when they were younger, which makes Deeley very eager to meet her. Anna is married and lives in Sicily, though she has come without her husband. When Anna arrives, she reminisces about their bohemian lives in London twenty years earlier. Deeley senses a competitor for Kate's affections, and both he and Anna sing snippets of old songs to stake their claim over her. He then recalls the first time he met Kate, at a movie theater. Anna counters with a story about coming home to find Kate with a young man who was sobbing. After Anna went to bed, the man came over and looked at her, but she ignored him. He came and went several times before finally leaving. She quickly adds how happy she was to hear of Kate's marriage, though she takes Deeley to task for leaving her so much on his travels for work. Kate is bored, and wants to take a walk, but Anna convinces her to stay in. Kate decides to take a bath, though she refuses to let Anna prepare it for her. While she bathes, Deeley confronts Anna in an attempt to deflect her from Kate. He remembers that he has met her before, twenty years ago in a bar in London. He recalls them going to a party, where she sat with a friend on low sofa, and he looked up her skirt. He was hustled away by some friends, and when he came back, she was gone. Simple of premise and yet utterly engaging, mysterious and provocative, Harold Pinter's Old Times is a beautifully crafted play, the kind of work one might read again and again just to uncover and study its inner-mechanism. And yet to see it staged is to realize that it is also truly an actor's play. Intent on providing a platform of intense clarity – sometimes literally – director Michael Kahn puts nothing between audience and words in this stunningly cohesive production. Hitting it out of the park and making this a production not to be missed is an astounding Holly Twyford as the keenly astute Anna. Twyford evokes not only this engaging, possibly emotionally dangerous woman, but also the entire past from which she hails. You need to be in a certain mood to appreciate Harold Pinter — his plays are spare and difficult and often surreal. "Old Times" is about friendships between broken people at a seaside cottage. What originally comes off like one of the happier Bergman movies turns into a scary, ghostly story in which some people might be crazy and others might be dead, but THERE'S NO WAY TO BE SURE. Starting next week, Washington audiences will get a chance to try deconstructing Harold Pinter's "Old Times" for themselves. 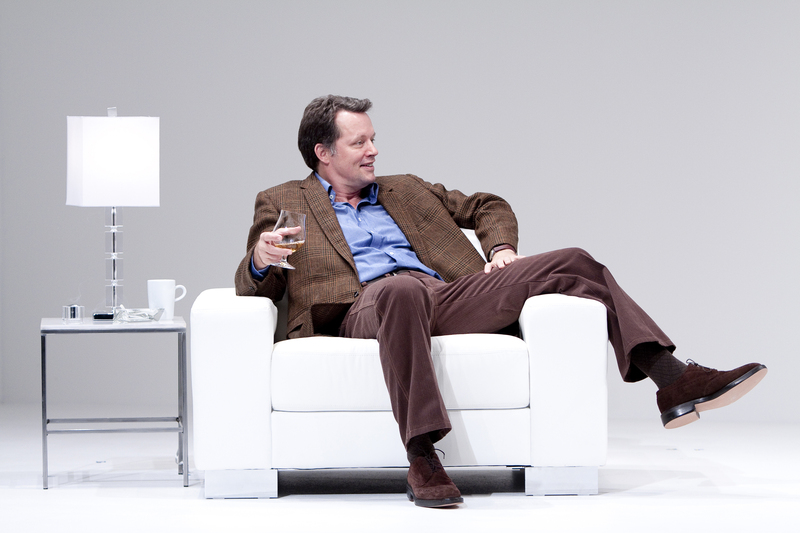 The play, which opens at Shakespeare Theatre Company's Lansburgh Theatre next Tuesday, is one of Pinter's trickier works. While at first the plot seems simple–a woman is visiting an English couple at a seaside retreat–by the time Act II starts the audience doesn't know if the women are actually one person, or if any or all of the characters are dead. Interpretations of the play's three characters–Kate, Deely, and Anna–range from a belief that all three are different personalities of one person, to the idea that all three are separate people, but have died at various points before the curtain rises. Pinter's wordplay is in full form in "Old Times". The New York Times's Frank Rich once described Pinter's "ability to load simple sentences with highly charged psychological freight" as "amazing." 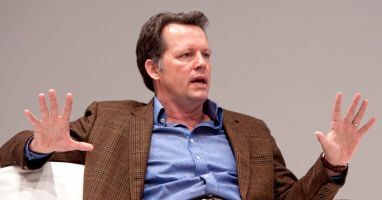 "Even single words can become time bombs," praised Rich in a 1984 review of the work. The DC production is being directed by Washington Shakespeare Company's Artistic Director, Michael Kahn. 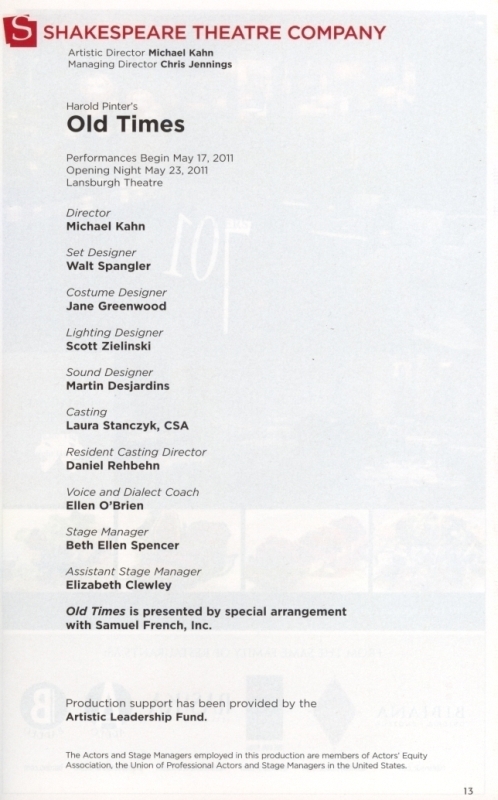 Kahn was recently called "one of the best directors in America" by DC Theatre Scene. THEATER: Shakespeare Theatre Company's production of "Old Times", starring DC-theater veteran Holly Twyford, opens tonight at the Lansburgh Theatre. The 1971 play by Harold Pinter is an exploration of relationships and memory that thwarts straightforward interpretations. Through July 3; tickets ($38 to $89) are available at Shakespeare Theatre's Web site. How reliable are our memories? Nobel Laureate Harold Pinter's haunting play, "Old Times", poses this question. An old friend visits a married couple, and their different memories of the past collide. What do their memories tell us and which interpretation of the past do we believe? "Old Times" is an intimate and highly-charged exploration of whether we can ever really know another person, or even ourselves. 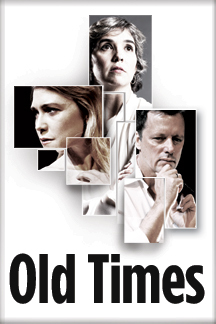 Artistic Director Michael Kahn directs "Old Times", which is the first Pinter production to grace STC's stage. This modern classic also marks the STC debuts of multiple Helen Hayes Awards winner Holly Twyford (The Little Dog Laughed; Lost in Yonkers), Steven Culp (Circle in the Square; "Desperate Housewives") and Tracy Lynn Middendorf ("Lost"; "24"). Tuesdays-Wednesdays 7:30 p.m.; Thursdays-Fridays 8 p.m.; Saturdays 2 and 8 p.m.; Sundays 7:30 p.m. In Harold Pinter's haunting play about the power of old memories, Holly Twyford plays Anna, who has come to visit her old friend Kate (Tracy Lynn Middendorf) and her husband Deeley (Steven Culp). As the trio begins unspooling old memories, strange rivalries develop, and relationships are thrown under a new, sometimes surreal light. 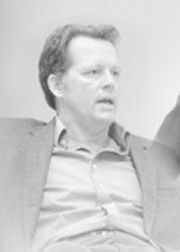 Artistic director Michael Kahn will direct The Shakespeare Theatre Company's new production of Harold Pinter's enigmatic "Old Times", to run May 17-July 3 at STC's Lansburgh Theatre in Washington, DC. This is STC's first production of a play by Nobel Laureate Pinter. 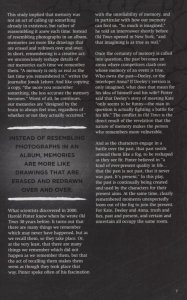 "Memory and reality collide in "Old Times", as three friends recall their relationship from 20 years prior," according to STC. 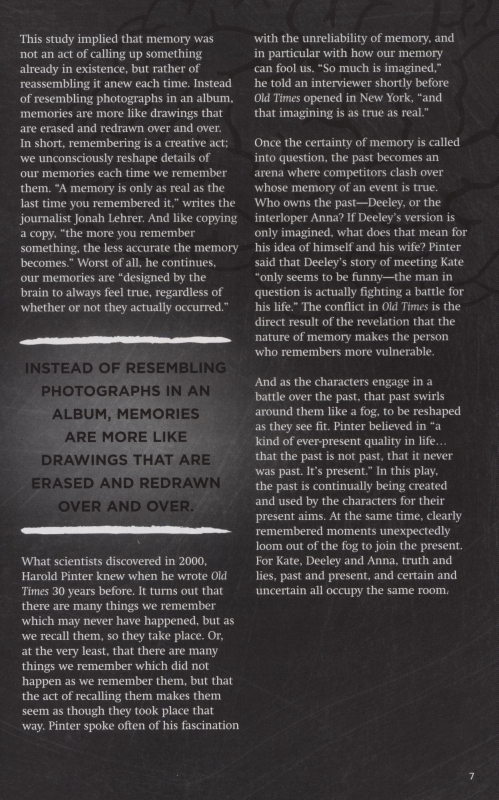 "What do their memories tell us and which interpretation of the past do we believe? "Old Times" is an intimate and highly-charged exploration of whether we can truly know another person, or even ourselves." This production marks the STC debut of all three cast members: Holly Twyford as Anna, Steven Culp as Deeley and Tracy Lynn Middendorf as Kate. 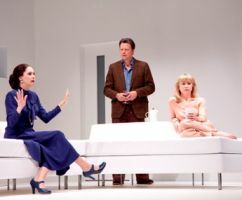 Kahn chose this play because he felt that, according to production notes, "Pinter's work belongs in a theatre devoted to the classics because of his brilliant use of language. It is one of Harold Pinter's masterpieces. It's not well-known, but it's an extraordinary play that explores, in Pinteresque fashion, power in a relationship." 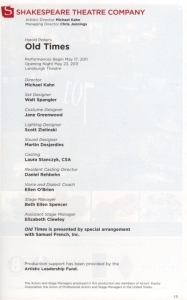 The "Old Times" design team includes scenic designer Walt Spangler, lighting designer Scott Zielinski, costume designer Jane Greenwood and sound designer Martin Desjardins. For tickets and more information, call (202) 547-1122 or visit ShakespeareTheatre.org. 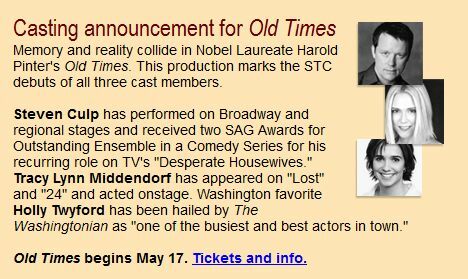 Steven Culp, Tracy Lynn Middendorf, Holly Twyford Set for STC's "Old Times"
Steven Culp and Tracy Lynn Middendorf will join the previously reported Holly Twyford in Shakespeare Theater Company's production of "Old Times", to play at the Lansburgh Theatre, May 17-July 3. Michael Kahn will direct. Memory and reality collide in this play, as three friends recall their relationship from 20 years prior. What do their memories tell us and which interpretation of the past do we believe? The creative team will include scenic designer Walt Spangler, lighting designer Scott Zielinski, costume designer Jane Greenwood and sound designer Martin Desjardins. Memory and reality collide in this nostalgic and haunting play by Nobel Laureate Harold Pinter. Pinter's 1971 play sifts through the truth of the past. Tuesday and Wednesday at 7:30 p.m.
Sunday at 2:00 and 7:30 p.m. Select Wednesday matinees at noon. NOTE: Seeking name actors for these roles with genuine stage experience, style and facility with language. The play will be performed in authentic British dialect. Deeley: Male. 40s – early 50s. Any ethnicity. Attractive, educated, controlling, successful, sexual and potentially ruthless. Threatened by Anna and her hold on Kate. Should have a sense of humor. 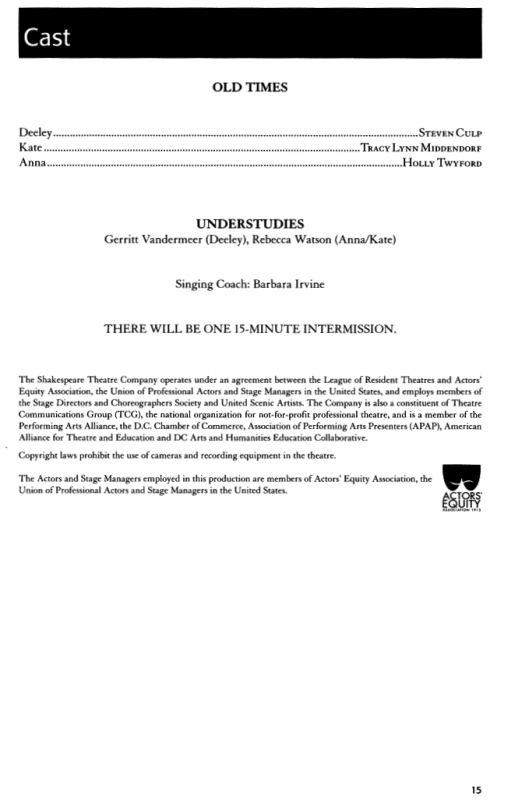 NYC auditions will be held March 15-23, 2011, by appointment only. 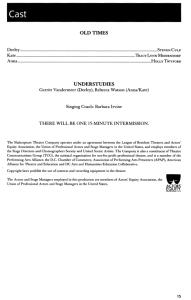 Seeking submissions from Actors' Equity Members only for these particular auditions. For consideration, email picture and resume. The Shakespeare Theatre has dedicated itself to becoming the nation's premiere classic theatre. 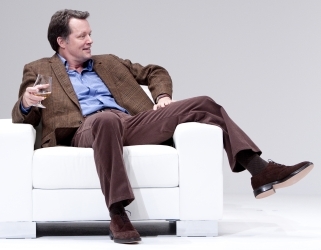 We take pride in being a theatre where great actors can come to work on challenging texts.